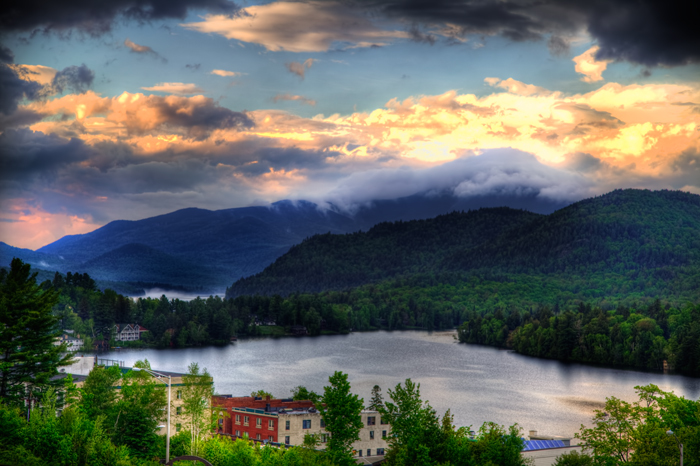 These are HDR photos of Lake Placid, NY mountain range just before sunset taken in May 2011. These photos were taken at one of the highest peaks in town, near the Crowne Plaza Resort and Golf Club. 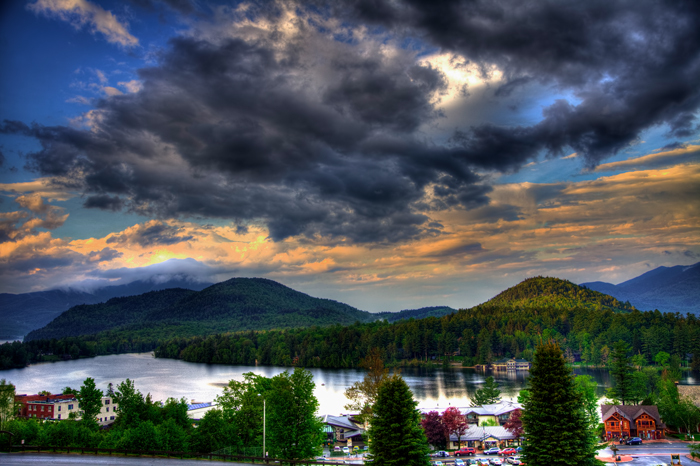 Lake Placid NY Mirror Lake and Lake Placid Mirror Lake by Joey B. Lax-Salinas is licensed under a Creative Commons Attribution-NonCommercial-NoDerivs 3.0 Unported License. Permissions beyond the scope of this license may be available at http://www.joeyblsphotography.com.